We have two western red cedar Adirondack chairs that we also opted not to treat. 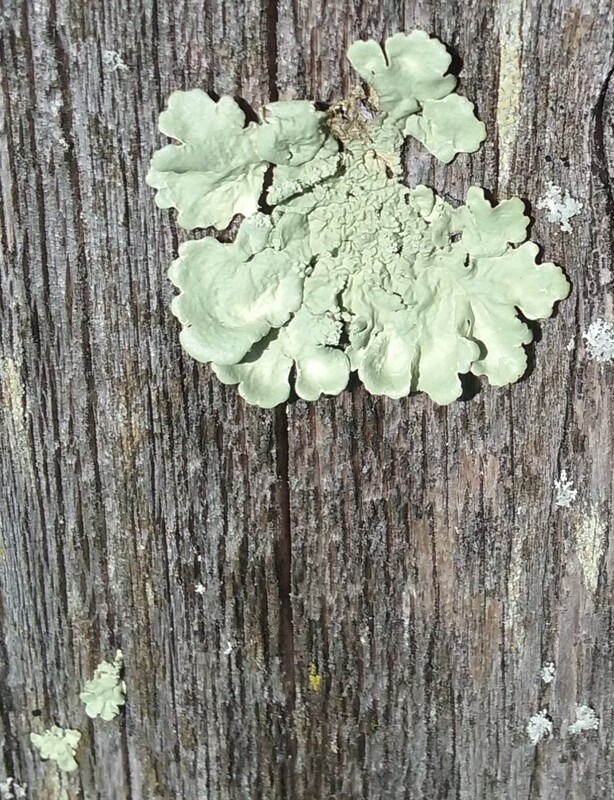 They are also covered with lichen. 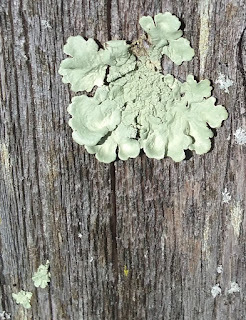 Because I learned in my SCIENCE class that lichen is an indicator species, I've always been happy that we have evidence that our biome is not toxic. Here's to decomposition and entropy. And I'm smiling at the thought of an embarrassed wasp.